Tesla Powerwall 2 is the game changer for battery storage. It is the ideal partner to a grid-tied microgeneration system such as solar photovoltaic panels or a wind turbine. It can also be configured to make the most of time-of-use tariffs such as Economy 7 or Green Energy UK’s Tide tariff, whether the property has solar panels or not. Powerwall has 13.5kWh of useable storage. This is equivalent to running a 60 watt light bulb for 19 days! 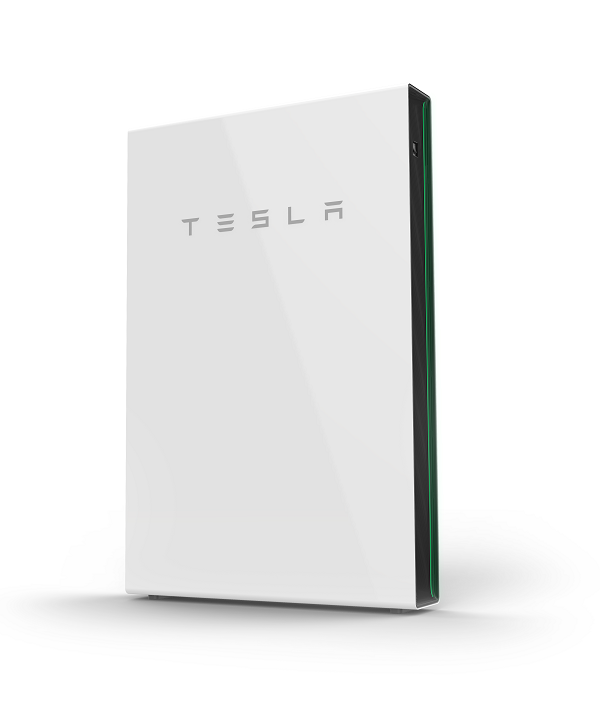 Note that we cannot offer Tesla Powerwall on a supply-only basis – it must be installed by a Tesla Powerwall Certified Installer, such as ourselves. If you have solar panels or a wind turbine, Tesla Powerwall home battery helps to increase the amount of generated electricity used directly by your home. The battery is charged up when your solar PV system or wind turbine is generating more electricity than is being used in the home. The battery stores this electricity, preventing it from being exported to the grid and discharges it when the local load exceeds electricity production, reducing your electricity bill. Another exciting application for Tesla Powerwall is in homes that are on an Economy 7 electricity tariff, whether they have solar panels or not. An Economy 7 tariff has two prices for electricity, a peak rate for 17 hours of the day then a cheaper off-peak rate for 7 hours at night (12:30a.m. to 7:30a.m. in the Electricity Northwest area). The peak rate of Economy 7 tariffs is usually around double the cost of the off-peak rate. The battery can be programmed to charge up on cheap rate electricity at night, then release it when required to prevent purchasing peak rate electricity during the day. For homes with solar panels and the Economy 7 tariff, the battery can even store surplus solar power in the summer months then switch to maximise the Economy 7 in the winter! N.B. Time-Of-Use functionality is due to be introduced via a software update which should be automatically deployed to all Powerwall 2 systems in the UK by the end of January 2018. 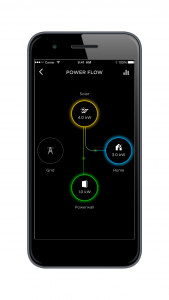 The Tesla App allows you to monitor electricity flow from your smartphone or tablet. You can see where your power is coming from and going to. It even shows your solar production, whatever type of solar PV system you have.